In its announcement about the proposed rules, the Trump administration said short-term policies are designed to fill a temporary gap in coverage. It will require insurers to notify consumers that the plans are not required to comply with all of Obamacare's mandates, saying they were committed to making sure people understand the policies' limitations. The notice directs consumers to make sure they understand what the plan covers and doesn't cover. Administration officials also pushed back on concerns that extending the duraction of short-term plans will hurt the Affordable Care Act market, pointing to an independent actuary's estimate that only up to 200,000 healthy Obamacare enrollees will switch to short-term plans. But the proposed rule also says that rates will likely rise in the exchanges as a result, which will cost taxpayers up to $168 million more in higher premium subsidies. 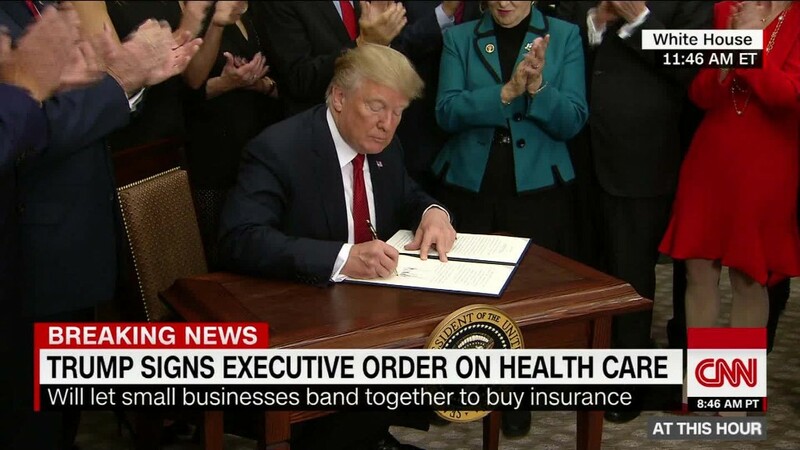 "While we are reviewing the proposed rule to understand its impact on the people we serve, we remain concerned that expanded use of short-term policies could further fragment the individual market, which would lead to higher premiums for many consumers, particularly those with pre-existing conditions," said Kristine Grow, spokeswoman for America's Health Insurance Plans.